LOVE FOOTBALL? COME PLAY ALL WINTER! COST: $115/$95 for players from NE Warriors Fall League. 9am - 11am with a game at either 11am or 12pm. 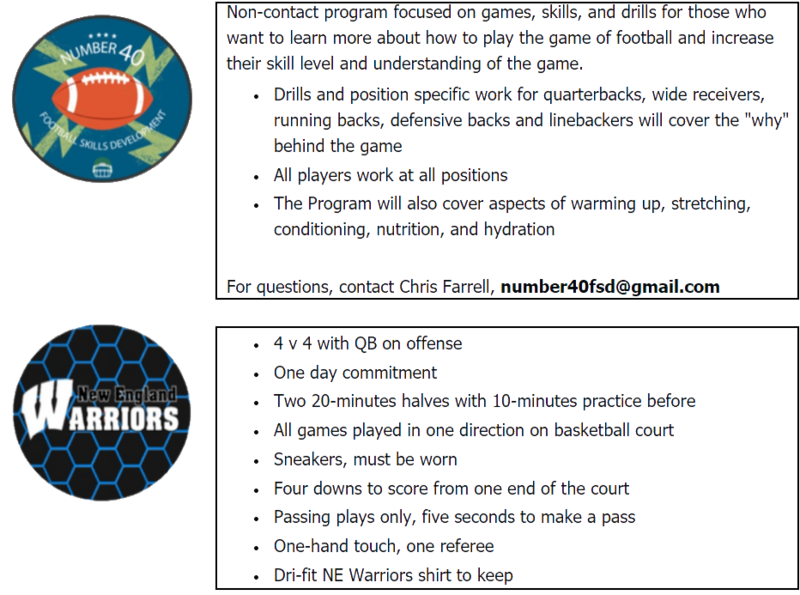 Option 2: NE Warriors Winter Indoor League only.